The Kardashians are back and ready to take on the new year with a new 'do. 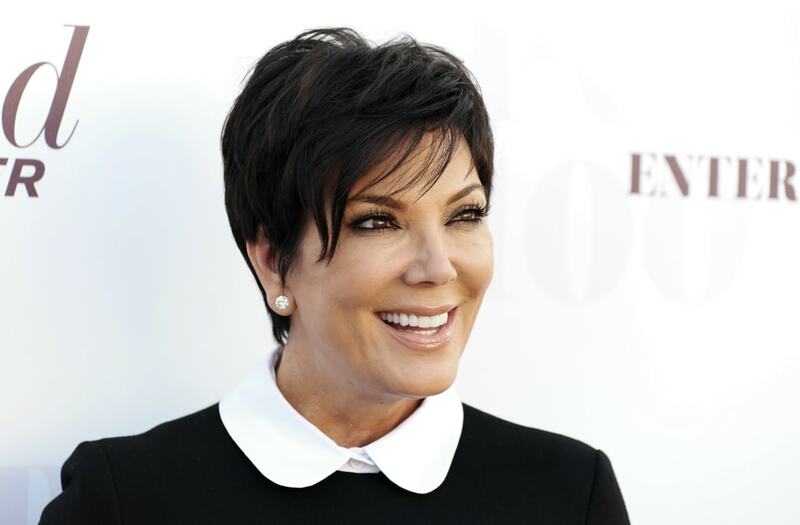 Everyone's favorite "momager" Kris Jenner ventured into the land of the blondes on Tuesday with a new head of hair. The matriarch of the Kardashian-Jenner clan posted the photo on Instagram, showing off her bleach blonde locks. "January 2nd back at work here we go!!!" she wrote, tagging her beauty team. Of course, the light, ashy hues of the Kris' pixie cut look almost identical to that of Kim's. Kim made headlines at Fashion Week in September with her new locks, which she explained took a "full week" to get that blonde. Los Angeles, CA, USA;Kim Kardashian, Khloe Kardashian, Kourtney Kardashian and mother Kris Jenner before game between the Washington Nationals and Los Angeles Dodgers at Dodger Stadium. "I sat there 12 hours straight, then we did another five-hour session," she wrote. She continued to explain she had to wait another week until she achieved the platinum blonde effect. Celebrity hairstylist and Kardashian go-to Chris Appleton was responsible for both Kim's and Kris' new looks.